ResMed brand replacement cleanable H5i Diswasher-safe (Top shelf on delicate cycle) humidifier water chamber. 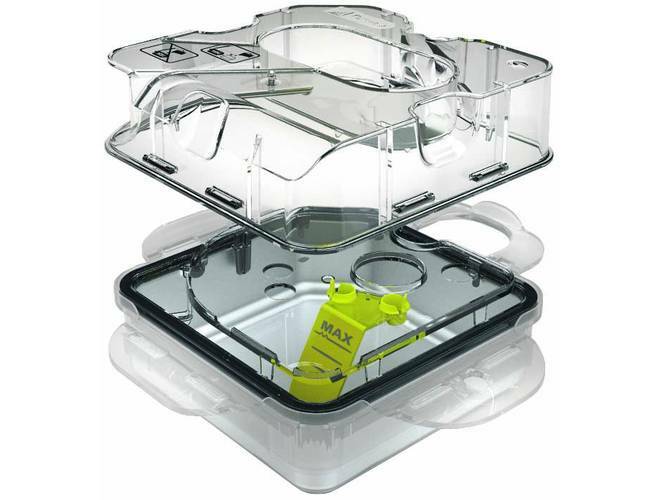 This chamber tub is designed for long life (6 months or more) and can be disassembled for easier cleaning. With my old humidifier chamber, they would start to develop mold (slightly) despite using only distilled water and weekly washings, I had to try this chamber which comes apart to make washing, and more importantly - DRYING, more convenient. The seal is also removable for monthly cleaning. Great price and quick delivery. No prescription was needed for this. Works well as a replacement for my precious chamber. I like that it comes apart, it makes cleaning a breeze. The original humidifier can not be opened up to clean. This one is cleanable and dishwasher safe. Only concern is if the plastic locks will hold up long term. Great Humidifier Chamber. Supper fast shipping. I really needed a new tank, amazing how grungy they can get, even with distilled water. That will not happen again. Now I can clean this as often as I need to. Great addition to my CPAP. Ability to separate into separate modules to clean is a significant improvement Well done. Delivery was fast and the item is really great. I will order all of my supplies here. Easier to open and clean than the original. Shipped fast. best price is the right name. Big advantage over the standard tub because it tears apart and is machine washable. Expected duration is 2 years versus 6 months for the standard tub. Don't hesitate, buy today if replacing one. 36800 ResMed H5i™ Cleanable Humidifier Chamber Don't know why they ever had a sealed chamber. This is great. To be able to clean, fully dry-keeps equipment from becoming a source of bacteria. I recently purchased a new humidifier chamber for my ResMed CPAP machine. This product worked as performed and was the cheapest replacement by far that I could find on the internet - it would have been 2X as much elsewhere. Shipping was fast also - shipped same day as my order. 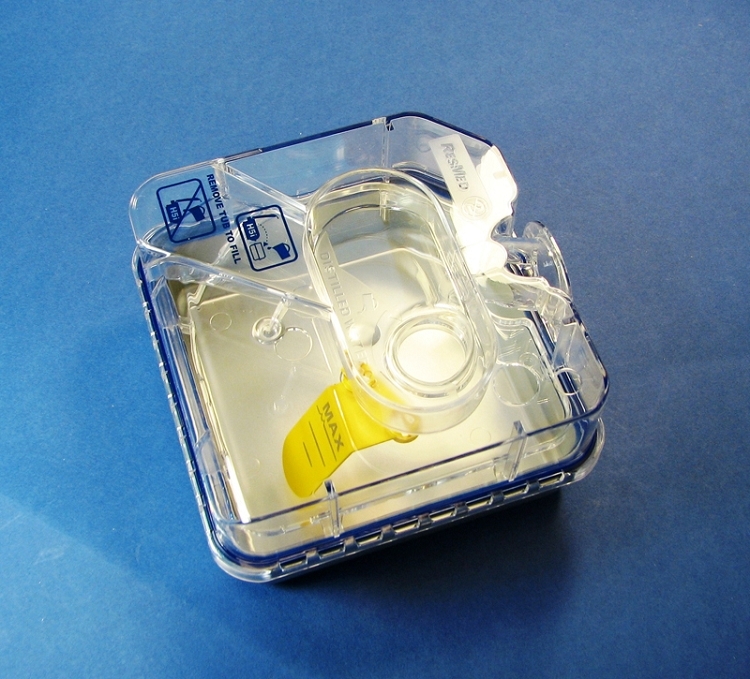 That was important to me since my CPAP machine was out of service until I received my new water reservoir. I will look to bestcpapprice for my future cpap needs. Filters fit and do their job! Seems to have a larger chamber than my old one, but that's probably impossible. The only drawback to this new style is the fill gauge is at an angle that cannot be easily seen without removing it from the unit. This is the first time I ordered Cpap supplies online. Delivery was fast. This reservoir is an improvement over my old one. The can be disassembled to be cleaned. In the future I will be ordering all my supplies here. I bought this chamber to replace my old one. It works great! Love it. Thanks so much for your excellent service.